We are very pleased to note that over the past year the SPAR Veggie range of vegan products has expanded. Can you tell us something about the new vegan products you've introduced to the Croatian market? Within our firm, we closely monitor trends and market needs. We are constantly trying to extend our product offering, and we have recently introduced BIO products that meet vegan standards such as Natur*pur rice syrup, Natur*pur coconut oil etc. Our vegan buyers represent a precious source of information. We are also fortunate that they are very communicative and very active on social networks, so the flow of information about new products on the market is very fast. A year ago, we introduced about 10 finished food products of the new product line Veggie by Neni to our loyal customers. Of course, the products in our branded line Veggie are the most important in our vegan and vegetarian diet segment, so we have expanded our portfolio with 10 new products: gummy candies, ice cream, various types of soy drinks, rice desserts, and so on. Which vegan products from your product lines VeggieSpar and NaturPur are most popular among Croatian customers? Vegan products have their lasting, loyal buyers and we can freely say that everything sells out equally well. The number of vegans in Croatia is steadily increasing, but what is more important than quantity is their loyalty to Veggie products. It is interesting, for example, that Veggie spreads are bought not only by the vegan population. Indeed, they are selling pretty well, and I think people buy them because they are delicious and many are even unaware that they are actually vegan products. How much does the vegan offering of products in SPAR stores in Croatia differ from those in neighboring countries, and what would you suggest for travelers to taste abroad? 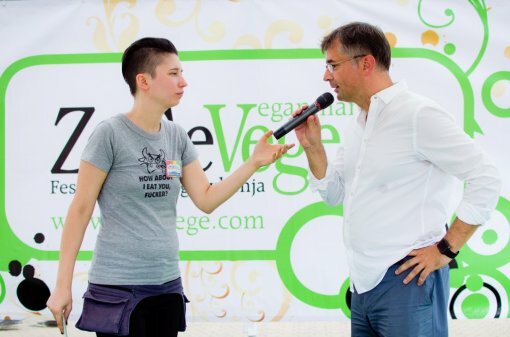 The vegan population in Croatia is considerably smaller than in Austria. According to some data, more than 160.000 people in Croatia (3.7% of population) have excluded meat and all other animal groceries from their diet. Even 38% of the world's population are vegans and vegetarians, but let's say that neighboring Austria has a vegan population near 9%. Of course, that means their range of products is significantly bigger. To us, the most important information that we get is from our vegan friends who are traveling around the world and discovering new, interesting products. 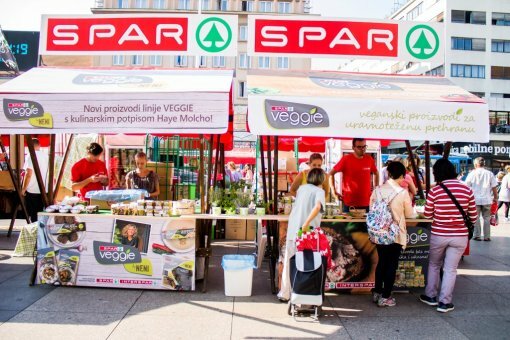 For the third consecutive year, SPAR is the general sponsor of the ZeGeVege Festival. Can you briefly recall last year's experience? This festival has double importance for us. First of all, there is no other festival or event, in the region, where you can be in direct contact with buyers to whom these products are intended. This is a great opportunity to promote our products. Visitors ask specific questions, and we can happily answer them. On the other hand, we receive direct feedback this way, such as which our products are good, what is missing in our assortment, and proposals for the acquisition of certain products. And finally, we have to emphasize that we have made many important contacts, both private and for business. I personally visit all the booths at the festival and return home every year with a bag full of products. Do you have any expectations or wishes from the 10th jubilee edition of the ZeGeVege Festival? We just hope we’ll be lucky enough to miss the rain - then everything will be just fine, and even better than last year.